This whimsical necklace has large beads connected with sterling silver wire. 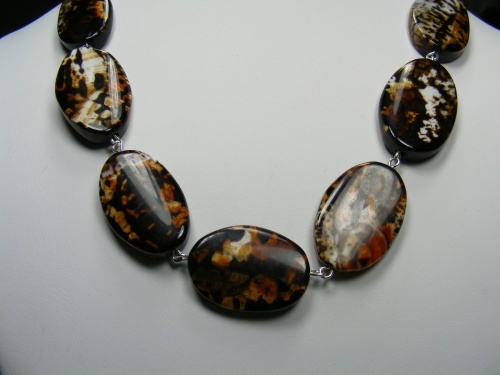 The gemstone has an animal like pattern with colors of rust and browns. Measures 18".